It's a fact of life that at some point, some of us, or someone close to us, will require hospice care or palliative care. We're hearing more about both of these in recent years. But you might ask, "Aren't the two care models basically the same? Don't they go hand-in-hand?" That's a question posed to the good folks at Mayo Clinic Medical Edge at the end of last year (which is to say, a little more than a week ago). And thankfully, they're always quick with an answer. In a Dec. 31 "Tuesday Q&A" column, Jacob Strand, M.D., a Palliative Care Clinic physician at Mayo Clinic, writes that while palliative care and hospice care share a common primary goal (making patients feel better), there are important differences. Hospice care by itself is a "philosophy that focuses on enhancing quality of life for patients who likely have less than six months to live." Whereas palliative care is a more "specialized" method of care for patients with serious illnesses that focuses on providing relief from symptoms "whatever the diagnosis or outlook" may be. "When you engage in palliative care, it does not limit other care in any way, nor does it take the place of therapies used to treat or cure disease," Dr. Strand writes. "Palliative care is appropriate at any age and at any stage in a serious illness." Another primary benefit, and difference, Dr. Strand says, is that palliative care professionals become part of a patient's core care team. "They do not replace anyone," he writes. Dr. Strand offered a more in-depth look at palliative care in Mayo Clinic Proceedings back in August in a piece titled, "10 Things Palliative Care Clinicians Wished Everyone Knew About Palliative Care." The article was recently picked up by OncologyNurseAdvisor.com, which was subsequently picked up by us. Palliative care can address the emotional impact of serious illness on patients and their families. 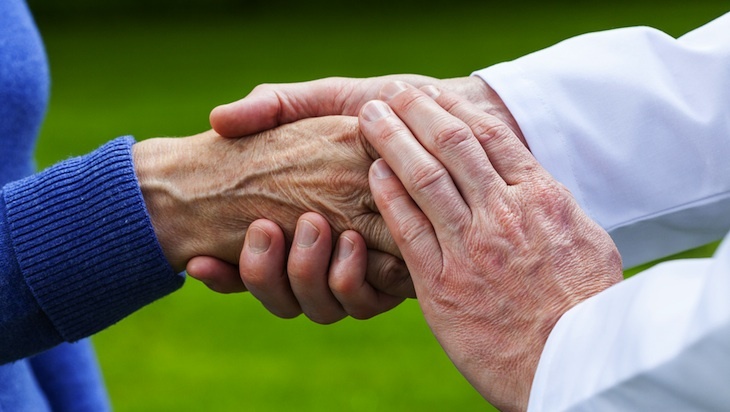 Clinicians should address the barriers to palliative care involvement. Patients' hopes and values equate to more than a cure. Read more about the top 10 list here, and more about the differences between hospice and palliative care from Dr. Strand here. Then, share your comments and this story with others. Thanks so much for this. The topic is so relevant to providing Patient-Centered care. Mayo has excellent resources around hospice, Palliative care, pain management, and end of life care… but our care providers do not always know about them or remember to access them. Great JOB providing this information!